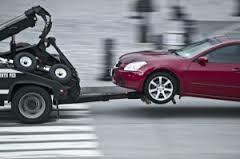 Canam’s flatbed trucking and towing services include local and long-distance towing, moving, transport and delivery. Additionally, Canam offers machinery moving and equipment moving offering forklift, excavator, backhoes, sky jack, metal and machinery moving services. Whether you require a dependable towing service for cars (including exotic cars), motorcycles or RVs. Our 20,000 secured storage facility will house any vehicle or machinery for short or extended duration’s. Canam’s comprehensive insurance policies cover all vehicle and machinery theft, fire and vandalism. Our team of appraisers will inspect each asset upon arrival at our facilities and provide a detailed condition report.